Happy week ten ya'll! Push through because it's almost spring break! 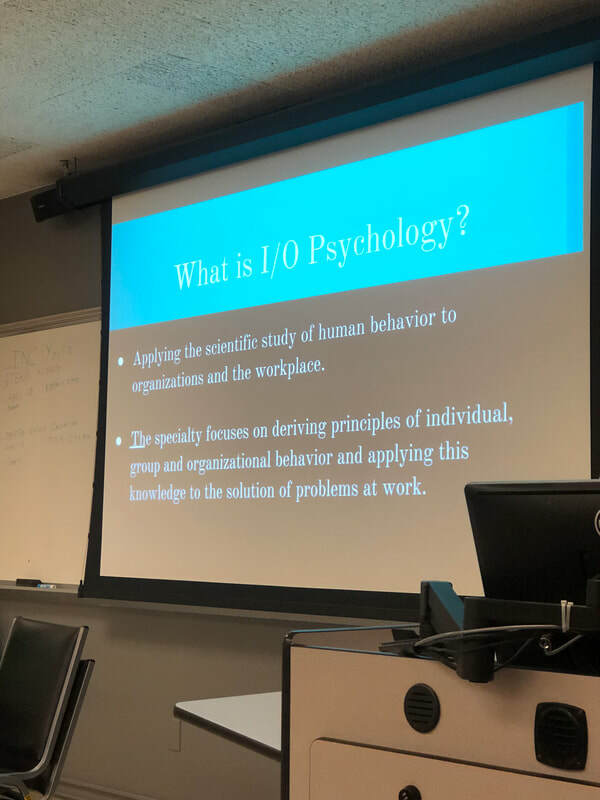 This week's meeting was for students who are interested in I/O psychology. 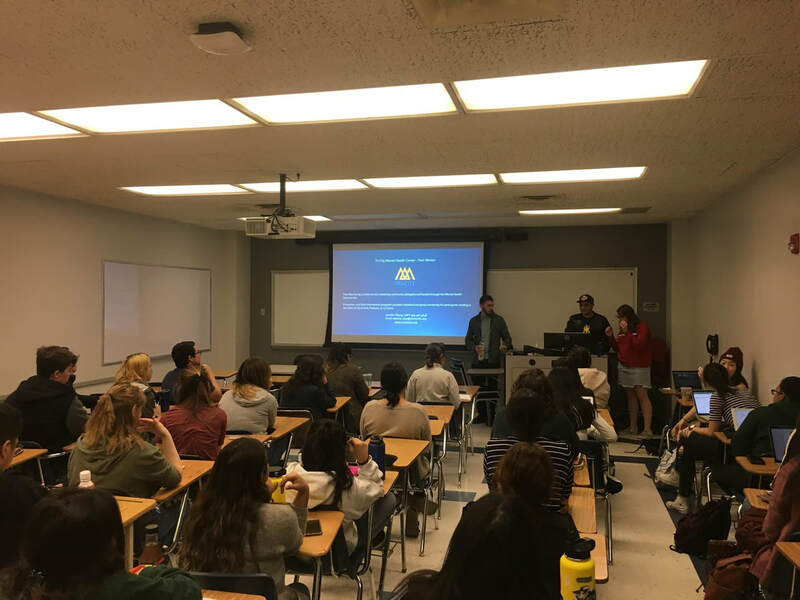 We had graduate students from Cal State San Bernardino come in and give us a presentation and share their experiences with us! 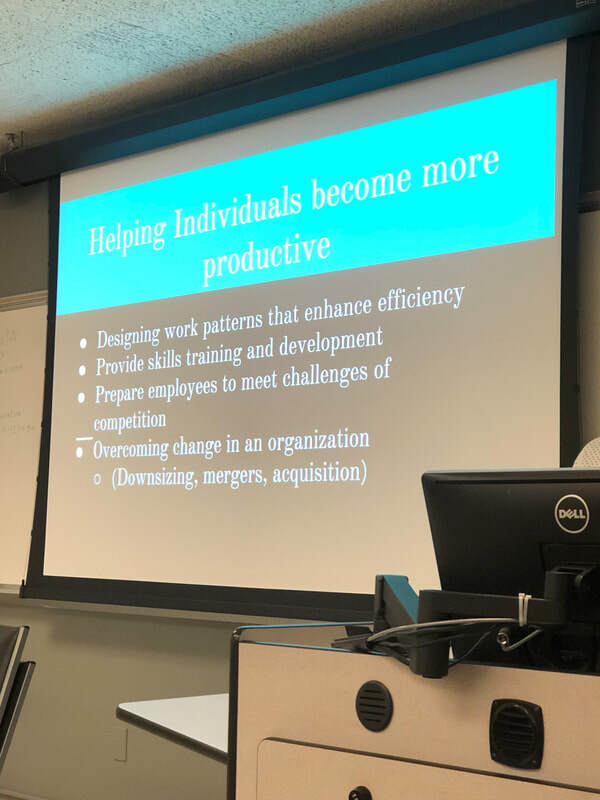 Below are some slides about the presentation! It explains what I/O psychology is and what you can potentially do in the field. 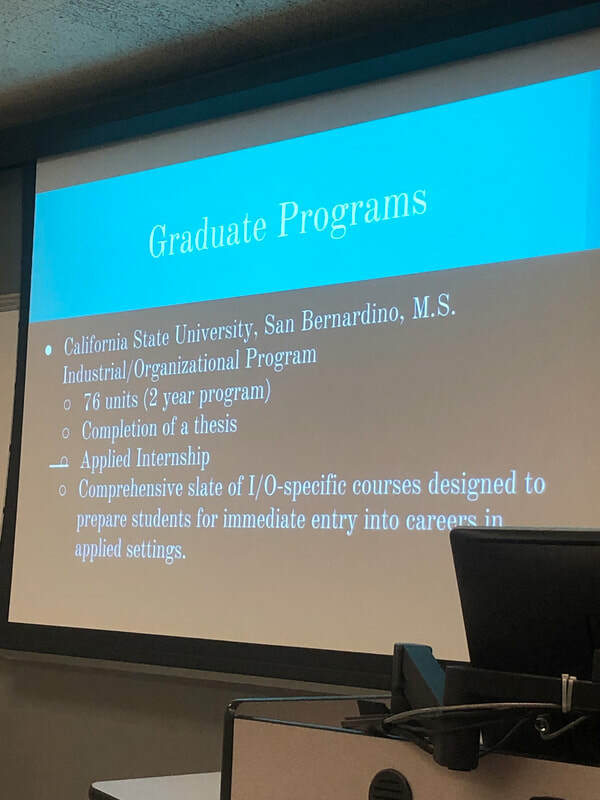 For those who are interested in obtaining their masters degree, Cal State San Bernardino offers a great 2 year program. So please do check it out if that's possibly something you're interested in. Other than that, we want to thank our guest speakers for taking their time off to come give us a presentation! Just a reminder that the Tuesday we come back from spring break we actually have a pizza fundraiser in front of the gallery lawn, so please come by and support Psi Chi! Other than that, we hope that ya'll have a safe and lovely spring break! We hope that ya'll are doing well! It's almost spring break so push through! 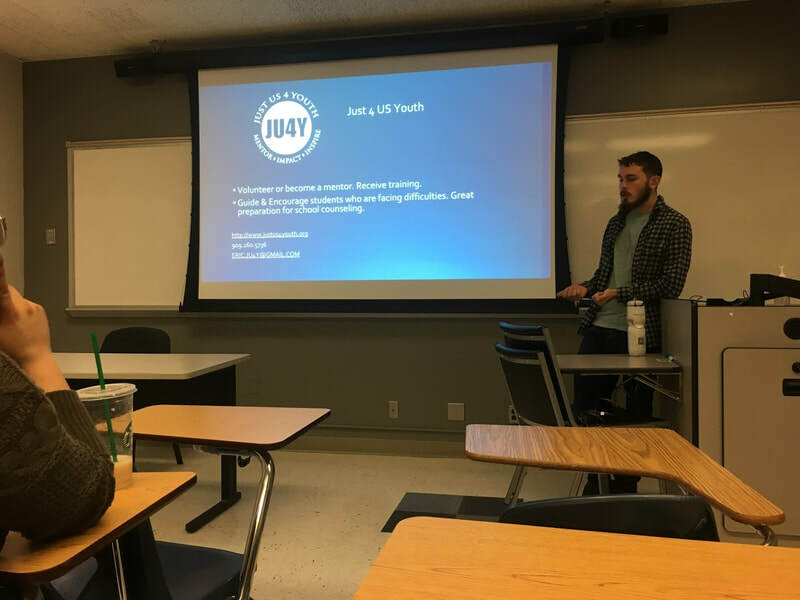 Today's meeting was actually an informational one and we had some very important announcements! Since WPA is coming very soon, we just want to remind all of our members who are interested in going, whether you're going to present or not, to register and pay the registration fee for WPA by March 31st! Once the date gets closer, we will be talking more about the conference and what you should expect and prepare for. Members should start getting a sense of who they want to potentially room with! The next announcement was regarding E-Board Elections! It's already that time of the year to elect the new E-Board members for the next academic year. If you are interested in running, please add in your name under the position that you are interested in running for! We highly recommend ya'll to run. If you have any questions about any of the positions please feel free to contact us. The last announcement we had was regarding the banquet. For this year's banquet... we actually have a theme! The theme is Optical Illusions, so it's going to a really cool and fun time. The banquet will be on May 10th so please save the date! Once the date starts coming closer, Beverly will start recruiting people to help set up the banquet. Hope ya'll have a wonderful rest of the week! We hope to see ya'll next week! Can ya'll actually believe that we're half way through the semester? It's so crazy to think about! We hope that ya'll have been doing well with your studies and that you're taking care of your mental and physical health. You may be feeling burnt out, so just remember to take care of yourselves and push through! For this week's general meeting, we actually had a very special guest come. 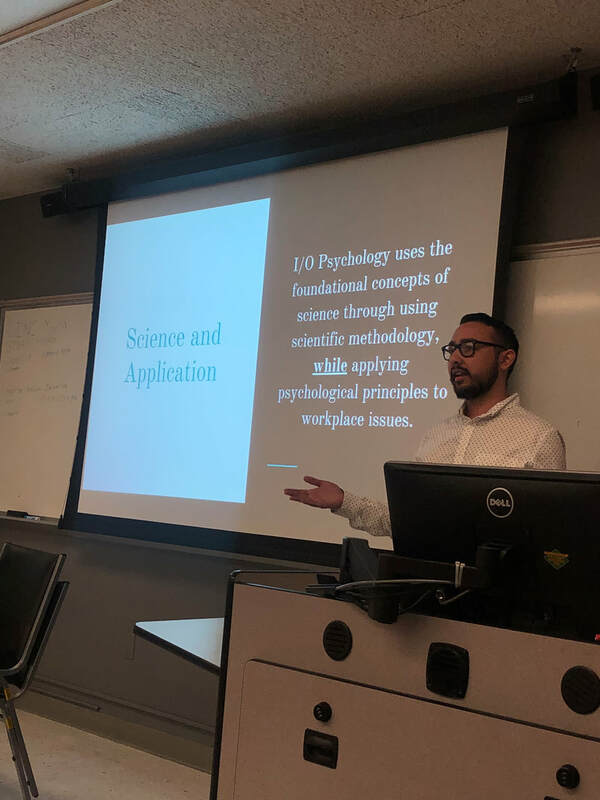 Sergio Maldonado is a Psi Chi alumni and last year's Psi Chi president! 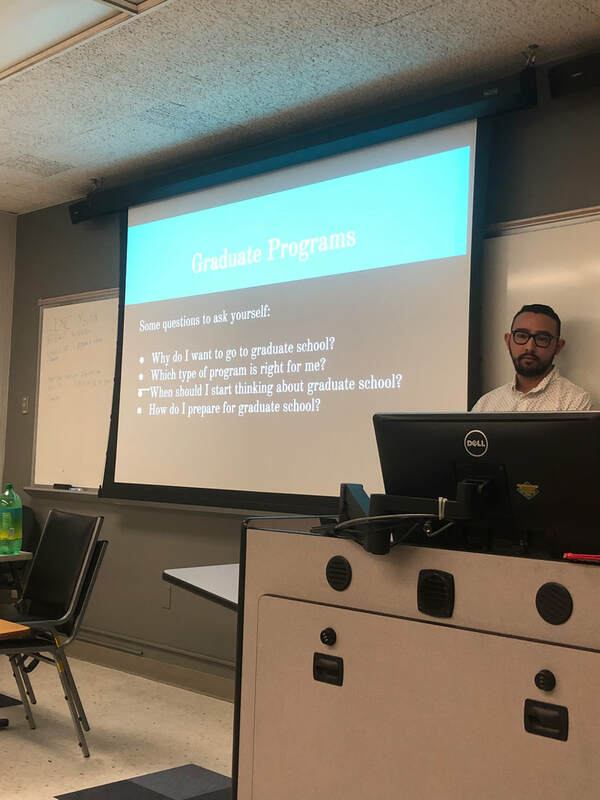 We are so appreciative and thankful that he came to Psi Chi to share his own graduate experience so far and what being a PhD student is like! He was able to offer a lot of insight and valuable recommendations and advice to all of our members. We hope that our old members were happy to see Sergio again, and our new members to know a little more about Sergio! 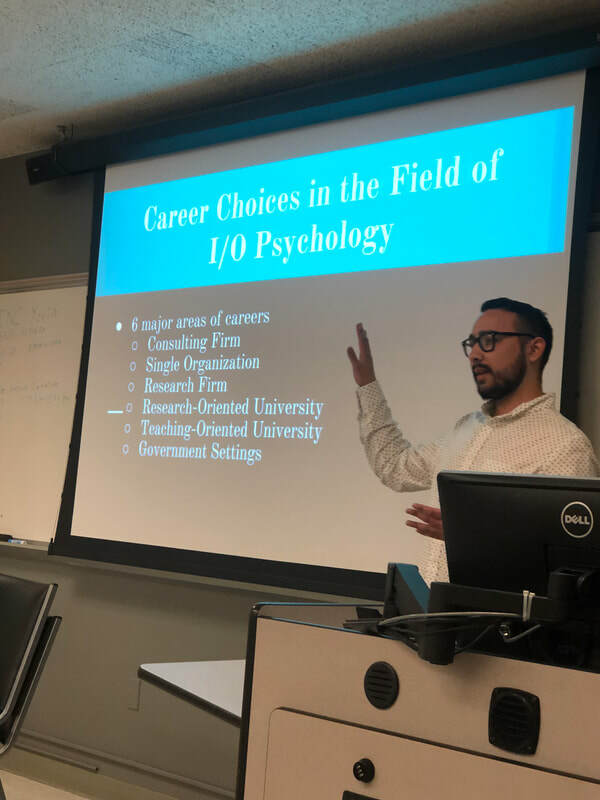 ​Once again, we would like to thank Sergio for taking his time off to come and visit Psi Chi! Good luck on your journey, and we hope to have you back! 2) Psi Chi Chapter fees are due March, 29th! 4) We have a Yogurtland Fundraiser next Tuesday on March 19th from 6pm - 10pm! Please come support Psi Chi! 5) We are also painting the CPP Letters on Saturday, March 23rd. This is a super fun social, and so we hope to see our members there! It's Week 7 everyone! Hope ya'll are having a great start of the week so far. We hope that those who still had midterms are able to get a little breather now! For this week's general meeting we decided to play a fun game. 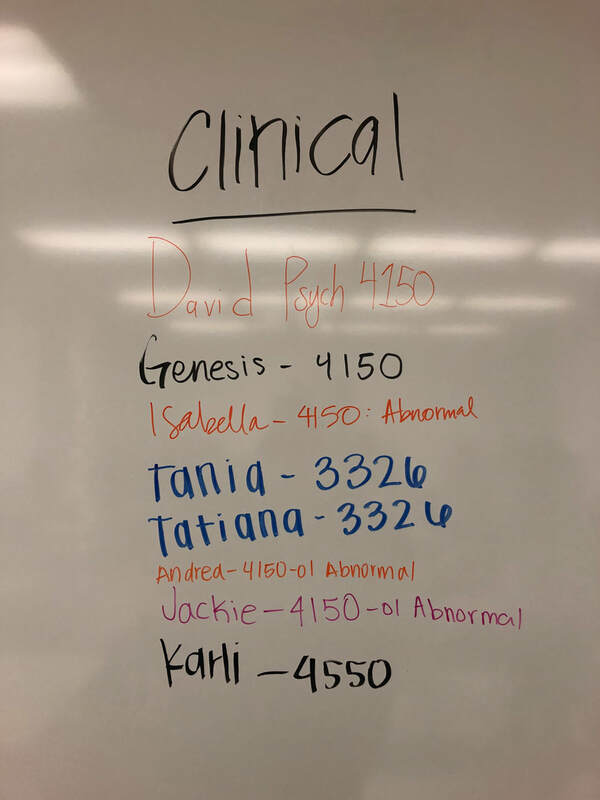 Our E-board prepared for ya'll a game of Jeopardy... but a Psychology version! We do our best to incorporate both academic and fun related meetings for ya'll. It was so great to see all of you so engaged and excited to play! 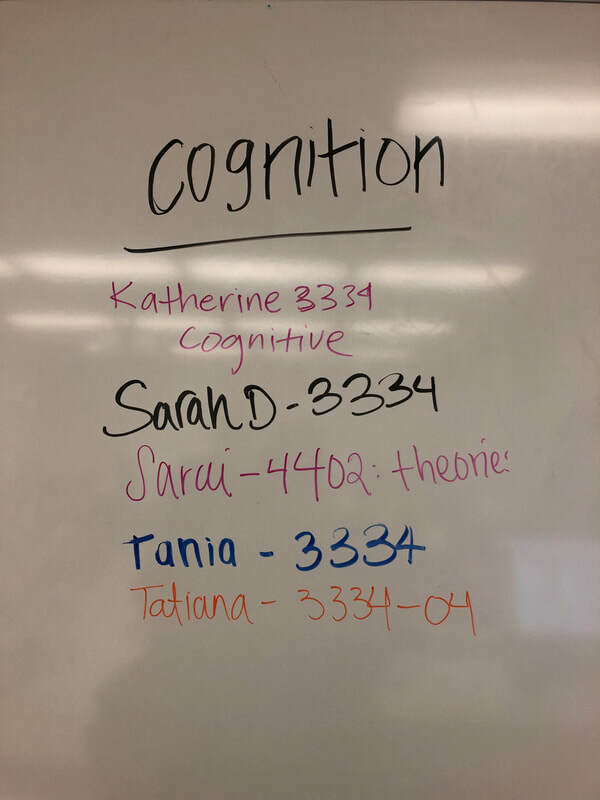 Although it was a bit competitive, it's great for everyone to test out what they know, and what they possibly don't! 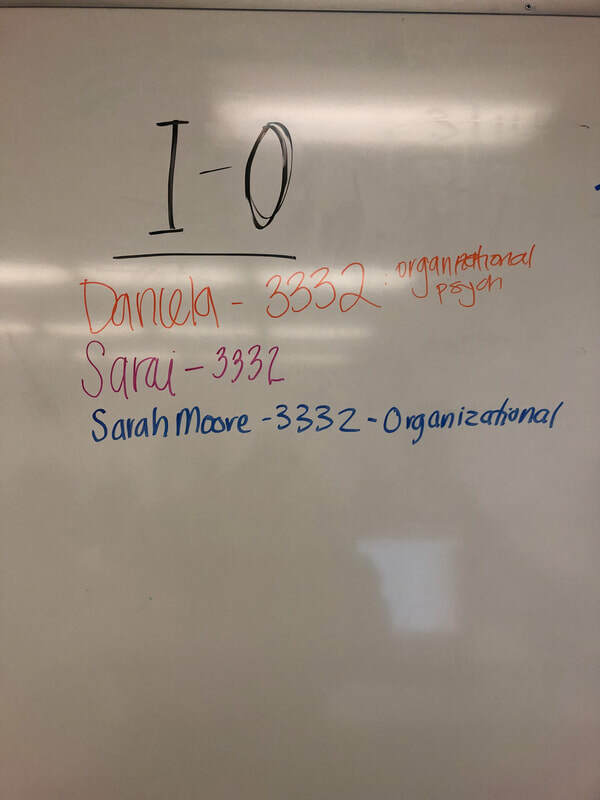 The team that got the most points was actually able to win a $5 Starbucks gift card! If you weren't able to win this time around, don't worry because we'll have more fun games to play down the road! Hope ya'll have an amazing rest of the week. Take care everyone! Good luck on all your midterms everyone! For this week we actually had no formal meeting. Instead, we had our very first pizza fundraiser of the semester! We had a very successful turn out and we wanted to thank everybody and everyone for supporting Psi Chi. It really means a lot to us! Other than that, please remember to pay your club membership fees, your International fees, and be on the lookout for WPA registration that is coming up really soon! Take care of yourselves, thank you everyone! Have a great rest of the week and remember to take mini breaks during your studying. Hello everyone! It's Week 5! Midterms are coming up... we hope that ya'll having been taking good care of yourselves physically and mentally! As a matter of fact, on the topic of mental health, we have prepared a presentation for ya'll about stress management! We know that midterms and finals are one of the most stressful weeks for all students. Students are pulling all-nighters to study, forgetting to eat, and stress levels are very high. 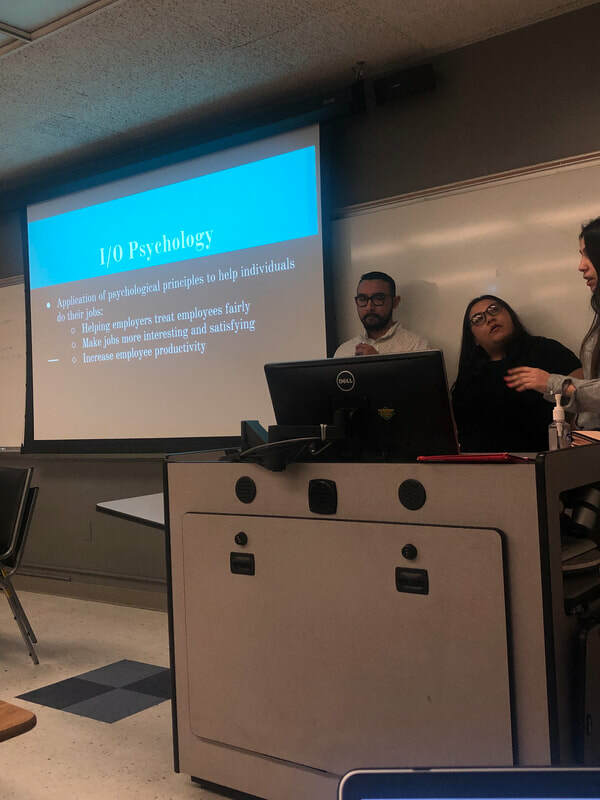 In our presentation, our very own E-board members suggested some of their ways to cope with stress! Some of the activities included listening to music, walking their dogs, meditating, taking quick naps, or talking to a close friend about their feelings. 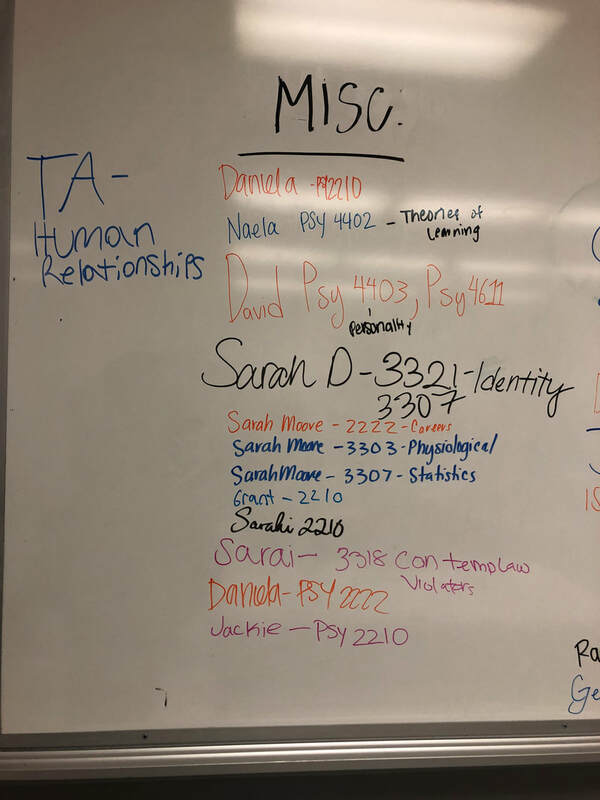 Everyone has their own way of coping with stress, but we hope that ya'll know that there are many services that the campus provides for everyone if the stress you're having is unbearable. CAPS is one of the great services on campus that you can talk to if need be. Please, reach out to others and the services on campus, we're here for you! After the presentation, we actually included a little activity as well. We made D.I.Y. stress balls out of rice! This was a nice and fun activity for everyone to make their own stress ball and have around whenever they need it. 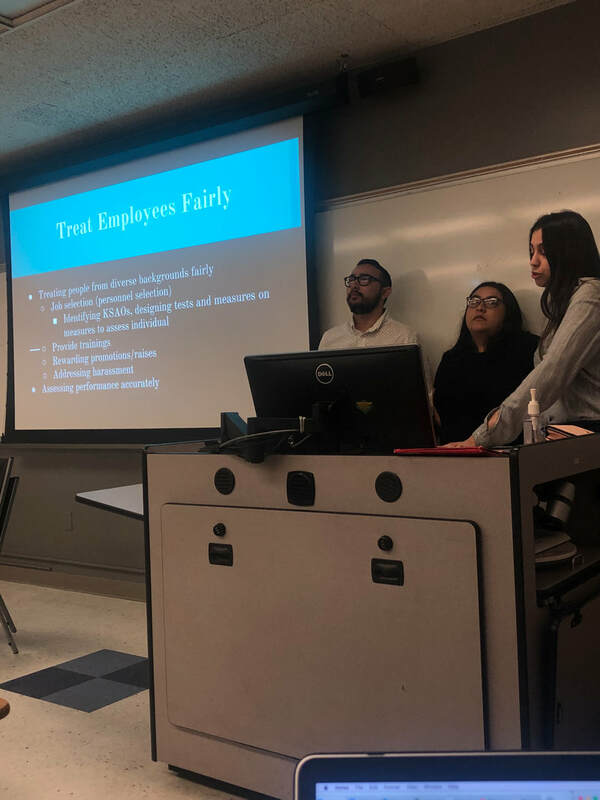 We hope that ya'll were able to enjoy this activity and our presentation! Hello everyone it's Week 4! Hope ya'll are doing well and are getting used to your schedules! 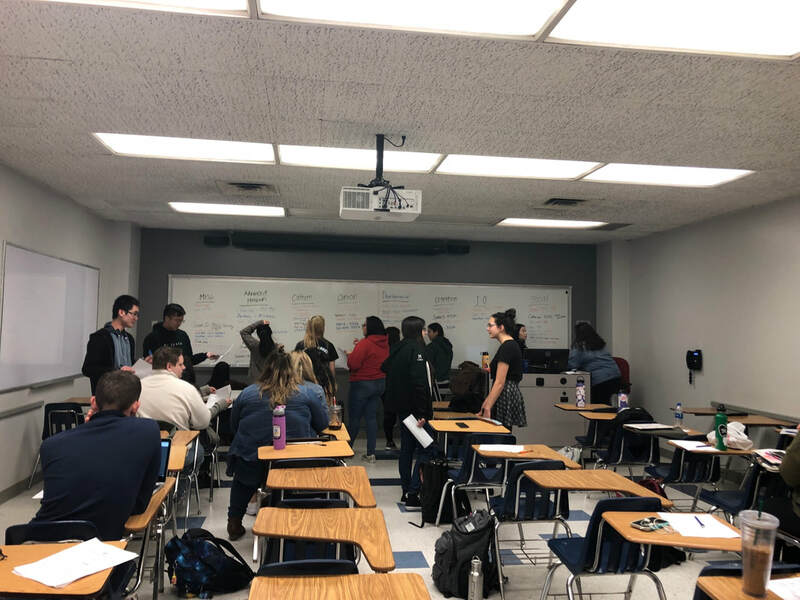 For this week's meeting we did a fun activity! We had case studies prepared so that ya'll can diagnose patients with mental illnesses or complications. We had 15 slides prepared for ya'll and everyone was split into teams. Each case study that the teams got right was given a point! It was definitely a fun and interesting activity, and we hope that ya'll enjoyed it. For those who are interested in Abnormal Psychology and Clinical Psychology, we hope that this activity was definitely practice for you. See ya'll at next week's general meeting! Good luck with all your studies everyone. It's week 3 everyone! Does anyone feel like the weeks are going by super fast this semester? Anyways! For this week's general meeting we had a special guest speaker come in. 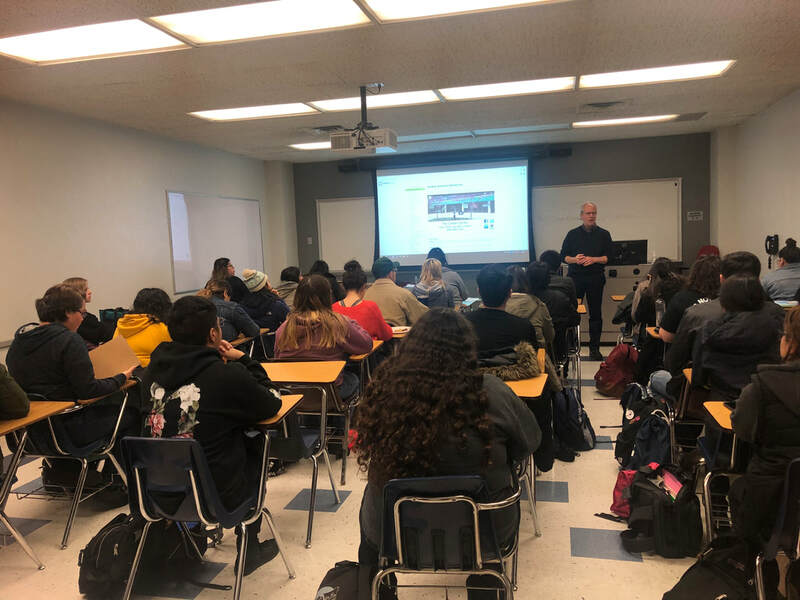 Dr. David Craig is a career counselor from the College of Letters, Arts, and Social Sciences here at Cal Poly Pomona. 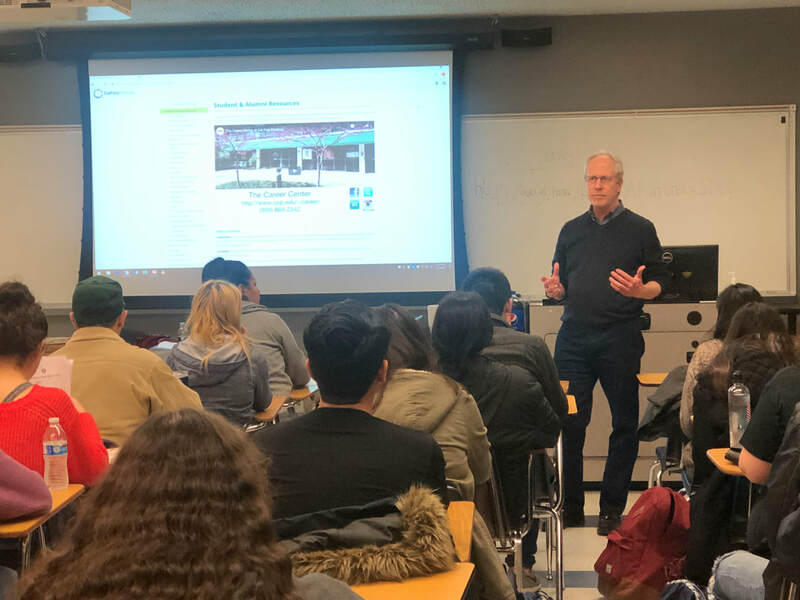 He was kind enough to take some time off and give a presentation about "What you can do with a Bachelor's Degree" We know that some of you may not know what to do after your graduate and have your degree, so this presentation was supposed to give you some insight into the possible fields of jobs that you can consider down the road! 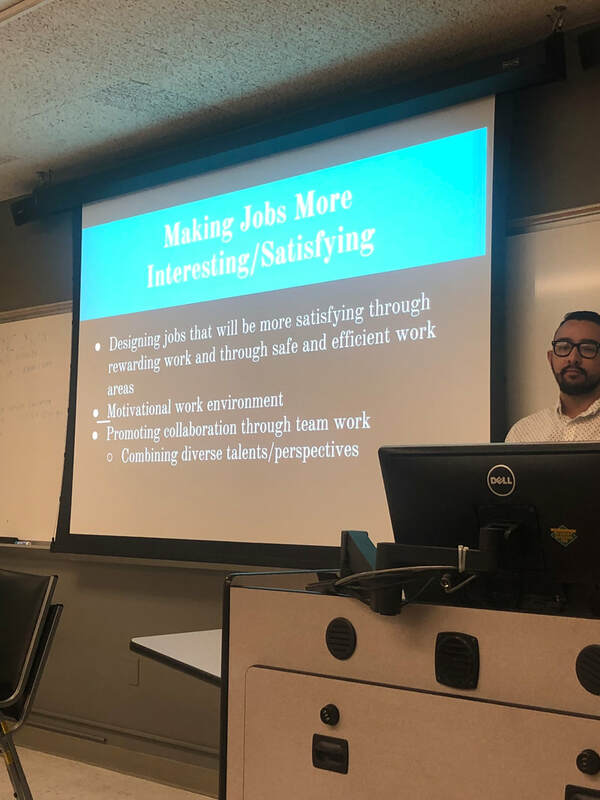 He was able to give a very in-depth presentation about each position/job and it was a great way for the students to also ask any questions they had. We love to see ya'll show up and attend these meetings because it tells us that these meetings are useful and engaging for ya'll! Dr. Craig will send me the presentation soon, so I will attach that link below. 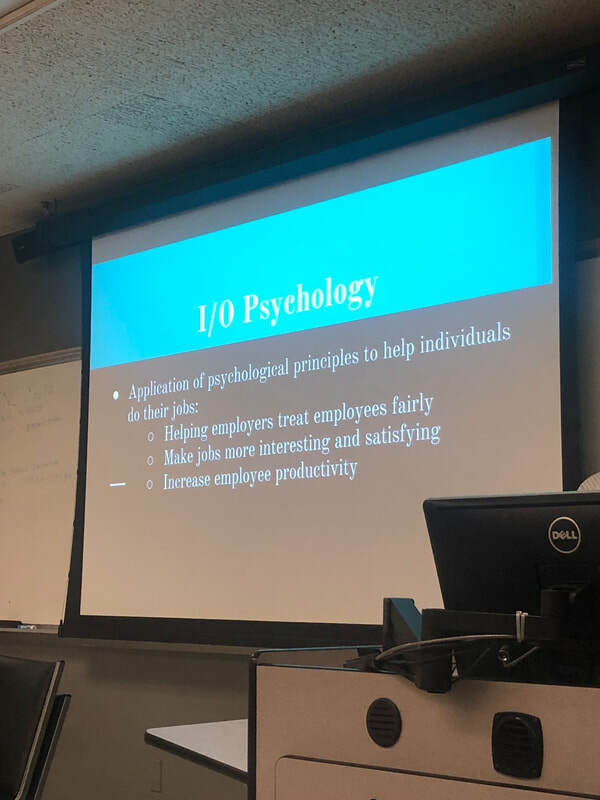 We hope that ya'll found these meeting useful, and we want to give a big thank you to Dr. Craig for giving such an insightful and eye-opening presentation for our fellow Psi Chi members. Thank you everyone for coming! We hope to see ya'll next week! Hello everyone it's Week 2! We hope that your classes have been good to ya'll so far. 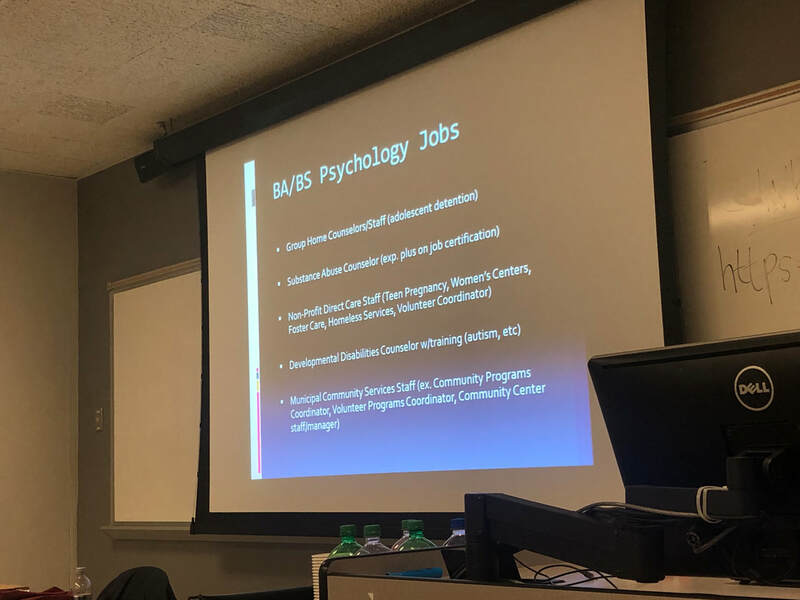 For this week's meeting we had our Community Service Chair, Michael, give a presentation about volunteer opportunities within Psychology! 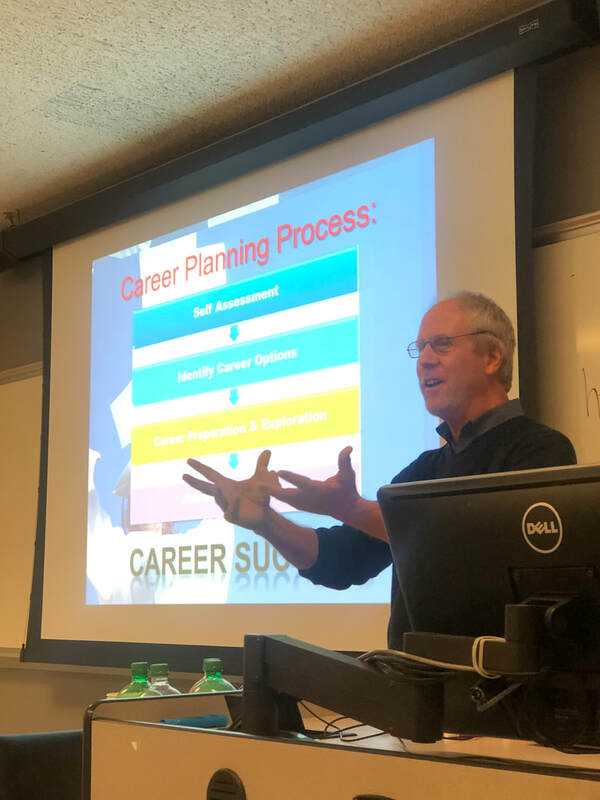 This presentation is a great way for our members and psychology students in general to really learn about the many opportunities that are out there and are available to you. There are many different types of volunteer opportunities that may cater to your interests. This is a great way for ya'll to gain valuable experience and to gain skills that may be utilized in graduate school or in the future. These are opportunities that you can definitely put into your resume or your cover letter! 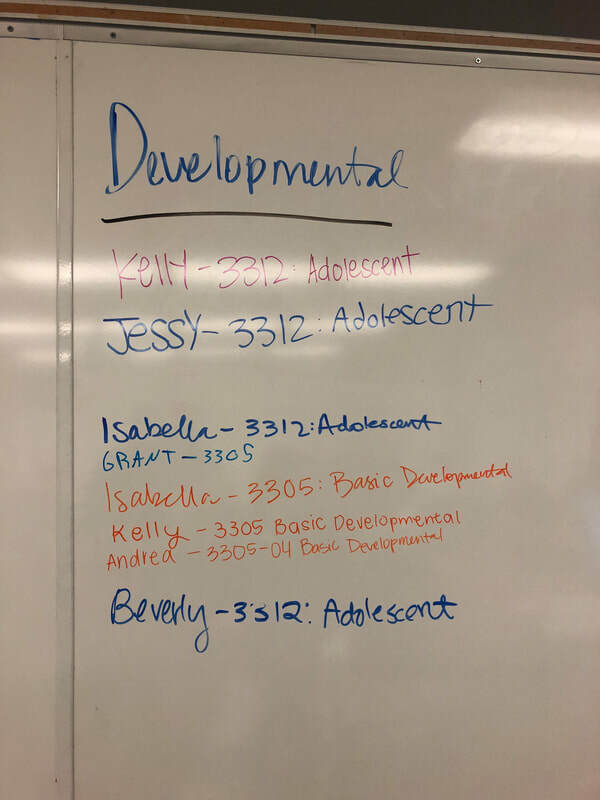 We had some students who share their own experiences with the Prison Education Project (PEP) and from Tri-City Mental Health Center. There are members around you who may have had a volunteer opportunity, so please network with each other and don't be afraid to ask any questions if you are interested! I will have the link of the presentation here in case any of ya'll want to look back at it. Thank you so much ya'll for coming to this week's meeting! We appreciate it. Hello everyone and welcome back! We have missed you all and we hope that ya'll had an amazing winter break filled with happiness, love, and joy! We had our first meeting back on the same exact day as the first day of school! For today's meeting we played a fun game of bingo so that both new and old members can get to introduce themselves to each other. 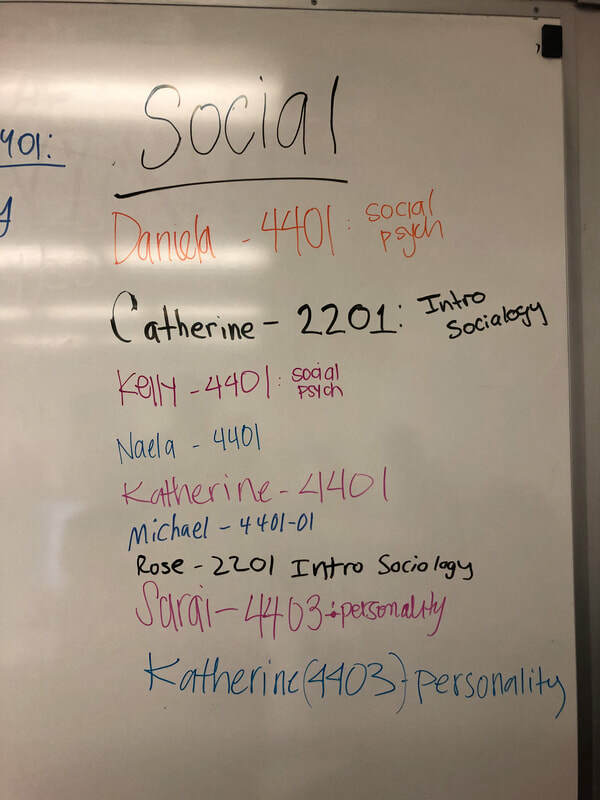 Something new that we decided to do this semester is create a list of classes where you all can find others who are taking the same class as you to form a study group! 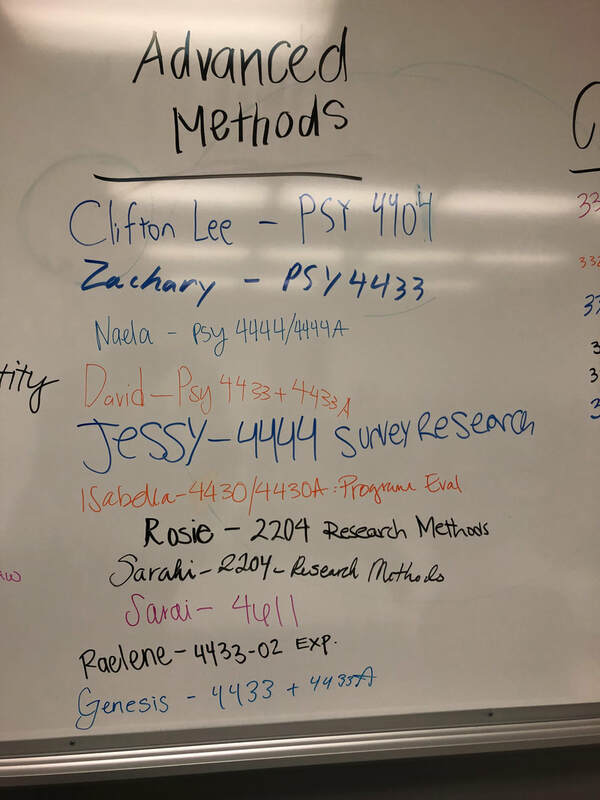 This was super successful and we hope that you all were able to find other fellow Psi Chi members in your classes. Other than that, we are happy to see all of you again and we hope to see you in our next meetings! See you all next week! Below are the list of classes and the names of people who are taking that class. 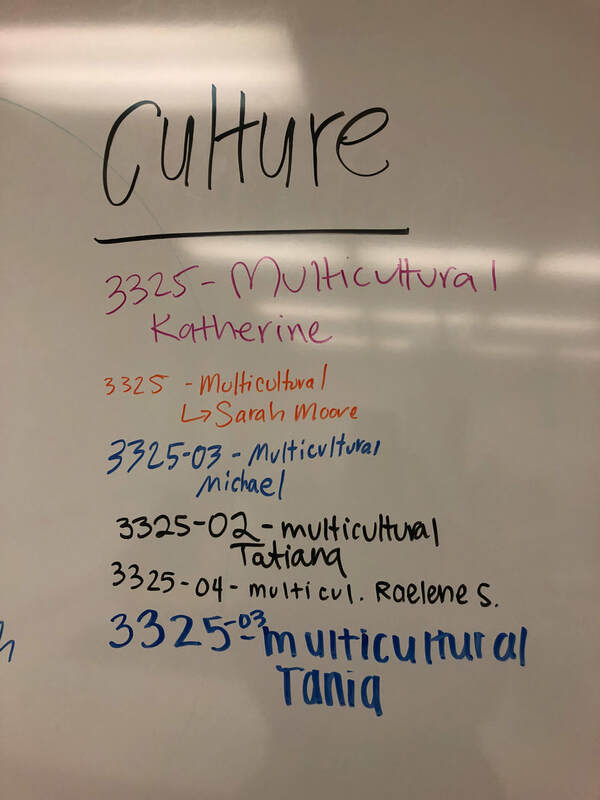 If you recognize a name please feel free to find them so ya'll can form a study group!